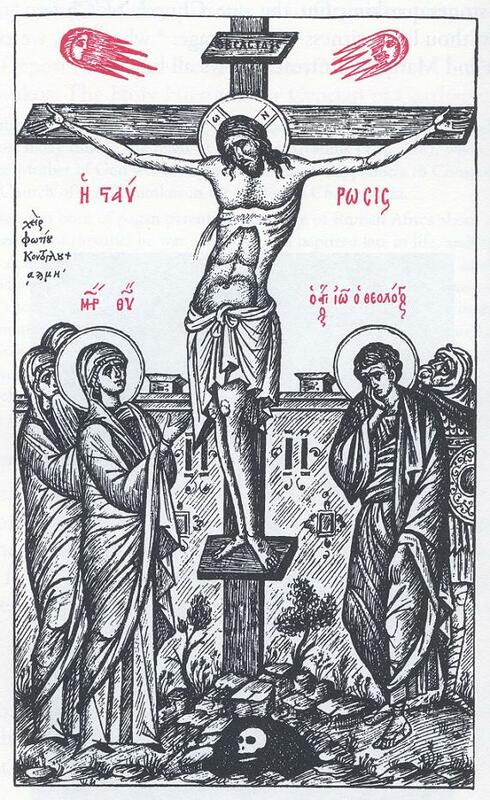 In the account of Jesus’ crucifixion in the Gospel of Mark we read, “And when the sixth hour had come, there was darkness over the whole land until the ninth hour” (Mk 15.33). This detail is part of the pre-Markan passion story and, since Mark is the earliest of our Gospels, therefore a very early tradition that deserves to be taken seriously. On the whole world there pressed a most fearful darkness; and the rocks were rent by an earthquake, and many places in Judea and other districts were thrown down. This darkness Thallus in the third book of his History, calls, as appears to me without reason, an eclipse of the sun. For the Hebrews celebrate the Passover on the 14th day according to the moon, and the passion of our Savior falls on the day before the Passover; but an eclipse of the sun takes place only when the moon comes under the sun. And it cannot happen at any other time but in the interval between the first day of the new moon and the last of the old, that is, at their junction: how then should an eclipse be supposed to happen when the moon is almost diametrically opposite the sun? Let that opinion pass however; let it carry the majority with it; and let this portent of the world be deemed an eclipse of the sun, like others a portent only to the eye. Phlegon records that, in the time of Tiberius Caesar, at full moon, there was a full eclipse of the sun from the sixth hour to the ninth—manifestly that one of which we speak. But what has an eclipse in common with an earthquake, the rending of rocks, and the resurrection of the dead, and so great a perturbation throughout the universe? Surely no such event as this is recorded for a long period. But it was a darkness induced by God, because the Lord happened then to suffer. Africanus, who cites Thallus on other matters as well, is exercised to expose as erroneous Thallus’ explaining the darkness as due to a solar eclipse. He points out that such an explanation is unreasonable because Passover always occurs at the time of the full moon, and the full moon cannot come between the earth and the sun. So the explanation, according to Africanus, must be that the darkness was miraculous. So did Thallus actually refer to Jesus’ crucifixion and the attending darkness? Some have suggested that Thallus may have spoken merely of an eclipse that occurred around that time, which Africanus takes to refer to the darkness recorded in the Gospels. So the connection of the eclipse and the darkness at Jesus’ crucifixion was made, not by Thallus himself, but by Africanus. Support for this view may be found in the citation of Phlegon, who is said to have mentioned an eclipse during Tiberius’ reign, but, so far as we know from other citations of Phlegon’s work, did not refer to the darkness at Jesus’ crucifixion. It seems, however, that this argument is not weighty, for two reasons. First, Africanus’ purpose in citing Phlegon is not to confirm the darkness at the time of the crucifixion. As I read him, the reason for citing Phlegon is to provide an illustration of someone who is foolish enough to agree that a solar eclipse can occur, as Thallus suggests, at the time of a full moon. Africanus has dismissed Thallus’ explanation as unreasonable but then says that for the sake of argument he shall concede that Thallus’ explanation is correct. Phlegon, after all, says that a solar eclipse occurred at full moon during Tiberius’ reign. So concede that the darkness was due an eclipse — so what? The co-occurrence of an eclipse with an earthquake, splitting rocks, the rising of the dead, and so on, still requires a supernatural explanation. Against this reconstruction of Africanus’ argument, one might note that Africanus’ concession is not that an eclipse actually occurred but that it occurred “only to the eye,” that is, it was some sort of optical illusion. It doesn’t seem that this caveat really changes the thrust of his argument, however; the point remains that ex hypothesi it looked to people as if a solar eclipse had occurred at the time of a full moon, and Phlegon illustrates that some people have actually reported such a thing. Second, the phrase “manifestly that one of which we speak” shows that Africanus himself has to identify the eclipse spoken of by Phlegon as the supposed eclipse at the time of the crucifixion. Had Phlegon so identified it himself, then no such surmise would be necessary on Africanus’ part. This is in marked contrast to the reference to Thallus. There Africanus does not report that according to Thallus a solar eclipse occurred during Tiberius’ reign which we could connect with the darkness that fell during Jesus’ crucifixion. Rather, after referring to the darkness that occurred during the crucifixion, Africanus says that Thallus (unreasonably) calls this darkness an eclipse of the sun. It seems that Thallus was offering a natural explanation for the darkness that allegedly fell during Jesus’ crucifixion. Unlike Phlegon, Thallus seemed to be addressing a specifically Christian claim. Now if Thallus wrote much later than the Gospels, none of this would be very exciting. After all, in the apocryphal Gospels, for example, we have elaborations on the Gospel narratives and in early Church Fathers like Justin Martyr we find traces of early anti-Christian polemic. Such reflections on the Gospel accounts, being later and derivative, do not add significantly to the historical credibility of the Gospel narratives. On the other hand, if Thallus wrote his History prior to the Gospels, then his testimony becomes very interesting, indeed. The dating of his work is uncertain, but most scholars date Thallus’ History to the mid-first century, that is, sometime around AD 50, just 20 years after Jesus’ crucifixion in AD 30. By contrast most scholars date Mark’s Gospel to around AD 66-70. If this is right, then either Thallus provides independent, extra-biblical attestation of the darkness at noon, thereby increasing the probability of its historicity, or else Thallus is responding to the passion story which was being told by Christians at his time, thereby attesting to the earliness of that tradition. In either case, Thallus is doubtless reacting to a Christian interpretation of the event, since he is trying to provide an alternative explanation of the event. One could argue that, given his familiarity with Near Eastern affairs, Thallus would have just denied that the event occurred had he no knowledge of its happening. He thereby confirms the historicity of the darkness at noon. Perhaps, however, simply explaining it away was the easier reply (Thallus elsewhere explains portents naturalistically). In that case, what Thallus delivers is not independent confirmation of the Gospel accounts, but evidence of the primitiveness of the pre-Markan passion tradition, a conclusion of no small significance, since the earlier the tradition, the more historically credible it is. Of course, if we on other grounds — such as the several lines of evidence suggesting that Acts was written prior to AD 60, and Luke’s Gospel prior to Acts, and Mark’s Gospel prior to Luke — reject the conventional dating of the Gospels, as I’m inclined to do, then we already have the Gospels themselves contemporaneous with Thallus. 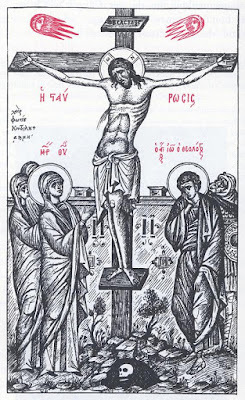 But on the conventional dating, it is rather stunning that the earlier reference to Jesus’ crucifixion comes not from one of the Christian Evangelists, but from a pagan Roman historian.